When federal law enforcement agencies start a government investigation that targets you or your company, how you respond and what you say are some of the most important aspects of a criminal case. Not only can you make incriminating statements but you can also expose yourself to criminal liability for providing what the government would call false information. Whether you are an individual, corporation or government contractor, our federal investigation attorneys are here to help. As federal criminal defense attorneys, we provide nationwide legal representation and protection for corporations and individuals under federal investigation or who are also part of a procurement fraud investigation. NATIONWIDE LEGAL REPRESENTATION. GET A FREE INITIAL CONSULTATION. CALL 1- 866-601-5518. WE PUT TOGETHER A TEAM OF DEFENSE PROFESSIONALS AND FORMER PROSECUTORS THAT ARE JUST FOCUSED ON GETTING THE BEST RESULTS. GET A FREE INITIAL CONSULTATION. Call a white collar litigation and federal investigation defense attorney today at 1-866-601-5518. The civil and criminal legal system can be intimidating. Many potential corporate and individual defendants may not initially know that they are a target for federal investigations. Although cooperation throughout the federal investigation process is strongly advised, if you become a target later in the investigation, your rights may have already been placed in jeopardy. When the facts of a criminal case are reviewed by one of our criminal defense attorneys, potential mistakes and error that support the government’s allegations or indictments are uncovered. Although the federal government is entitled to investigate potential wrongdoing, the investigation process is not designed to trample upon your constitutional and other protected rights. Don’t Wait Until it’s Too Late. Although the federal government has the power to investigate as many government contractors or individuals as it wants, it does make common mistakes that lead to indictments, sentences, criminal and civil fines. Sometimes during a government investigation, government investigative lawyers and federal prosecutors use inappropriate evidence, and in federal government contract charges, inexperienced corporate attorneys and federal crime lawyers fall short of knowing the underlying procurement law that the government is presenting. You have a right to not speak, and certain privileged information that is protected during questioning. To protect yourself from high exposure and stiff criminal or civil penalties you need sound legal advice and counsel to take on federal investigations agencies. Schedule a Free Initial Consultation Today. The federal investigation process begins with knowing how the system works, the specific underlying area of law that a prosecutor may bring charges and use it to your advantage. The includes federal small business and SBA programs, limitations in subcontracting, False Claims Act violations and more. At Watson & Associates, LLC, our federal investigation lawyer and white collar crime defense attorney bring over 25 years of experience to aggressively represent corporations and individuals in white collar criminal investigations, federal procurement fraud litigation and other types of government investigations. WE CAN PUT TOGETHER A TEAM OF FORMER PROSECUTORS AND GOVERNMENT CONTRACT ATTORNEYS AND GET QUICKLY GET TO THE BOTTOM OF THE MATTER. WE UNDERSTAND THAT GET YOU IN THE BEST POSSIBLE POSITION, YOU HAVE TO ACT EARLY. The law firm provides legal advice and representation in a variety of civil and federal investigations in criminal situations including DOJ procurement fraud investigations, government contract compliance investigations, SEC investigations, congressional investigations and government investigation regarding SBA size standards fraud and federal small business programs. Whether you have reason to believe that your company is not following the rules or someone has filed a whistleblower action against you, preparing for a federal contract criminal charge is usually the best choice. If you wait until the federal government comes knocking on your door, it may be too late to repair any damage. ARE YOU PLANNING OF RETAINING A TRADITIONAL CRIMINAL DEFENSE ATTORNEY? Many small businesses, individuals and large government contractors immediately seek to retain a local traditional criminal defense attorney. This is obviously one consideration. However, if the federal investigation is for a violation of procurement laws, then you want to hire legal counsel that also understands the various issues about government contracting involved in federal investigations. that also understands the unique requirements can be beneficial. Federal criminal investigative agencies are pushing their efforts to criminally prosecute government contractors across the U.S. and Overseas. We are here to help. When Do You Know That You Are Under Investigation? As an individual, corporation, or government contractor you will know that you are under federal investigation if federal agents try to communicate with you. As a federal government contractor, the Inspector General (IG), Federal Bureau of Investigation FBI Headquarters Washington DC, or other government investigation agencies may visit your home. Other federal investigation agencies can include Bureau of Alcohol, Tobacco, Firearms and Explosives, Department of Veterans Affairs (Criminal Investigations Division, Office of the Inspector General), Drug Enforcement Administration, Health and Human Services (Office of Inspector General), SBA Office of Inspector General (IG) and other individual law enforcement offices. At federal installations, your rumor mill tends to send hints through the ‘grapevine’ if you are a federal employee. You can also know that you are under a federal government investigation if a federal prosecutor sends you a letter stating that you are a target in a criminal investigation or civil federal investigation. What to Do If You Think You Are A Target for White Collar Investigations? The bottom line is to make you understand your legal rights. Many white collar defendants find themselves in a tough situation because although they know that they would be better off cooperating with federal government investigators, they divulge, with the representation of legal counsel, statements that can incriminate themselves. This is hard to overcome without having an experience government investigations attorney on your side that understands how white-collar investigations are done and the grave impact that it can cause you. Are You A Federal Contractor or Employee Targeted for Federal Investigation for Criminal Procurement Fraud? This is a very sensitive and unique area where you should exercise great caution. Federal government investigators usually investigation tips for criminal procurement fraud for years at a time. If you or your company is approached or receives a target letter, you want to act hastily. Get legal representation from a government investigation lawyer that also understand federal procurement law. This is very important simply because many criminal defendants retain criminal defense attorneys that have no experience with the detailed and specialize nuances of federal government contracting law. Many criminal cases brought by federal law enforcement involve federal small business programs that have very unique rules. This includes HUBZone, Service Disabled Veteran Owned Small Business Programs, and the SBA 8(a) Business Development Program. At Watson & Associates, LLC our government investigations attorney put together a team of government contracting attorneys and support staff that understand the rules. The goal is to protect you from improper allegations and criminal charges that federal investigation attorneys do not quite understand. Oftentimes small businesses and larger DOD contractors face allegations of violating government compliance regulations. This can involve FAR compliance, SBA small business regulations such as HUBZone and 8(a) Program compliance, and lead to other types of procurement fraud investigations. Agency law enforcement or investigative white collar and corporate crime departments such as the IG’s Office may initiate legal proceedings and target you for an official investigation. See also the signs of being under investigation. Other white-collar litigation and legal proceedings or fraud investigation where you may want to protect your rights include questioning and interviews, request for subpoena and documents. When the agency believes that it has a stronger case against you, then other legal proceedings may include indictments and formal charges. Other companies face federal investigations and legal exposure for failure to follow contractor accounting standards (CAS). These are areas where our federal criminal investigative lawyers can help. Given the heightened scrutiny of US export and import activities, federal agencies have increased the amount of Export Control and ITAR fraud investigations. At Watson & Associates, a white collar defense lawyer can help your company to sift through the legal issues and resolve matters short of criminal litigation for federal procurement contract fraud. The first thing potential defendants in a government investigation should do is to understand that they have a right to remain silent. You should also immediately seek help from a criminal defense or white collar defense attorney that understands how the process works. At best, you should ask for a search warrant. This document should state what the investigators are looking for and areas expected to be searched. When you encounter signs of being under investigation, keep the following in mind. Can You Challenge Your Sentence Resulting From a Federal Investigation? Waiting until you receive a sentence stemming from a federal investigation in the criminal justice system can be too late. Federal courts are usually set by certain mandatory guidelines. By having an investigative lawyer on your side early in the process, you may be in a better position to look at alternative besides going through the grand jury and trial stage. By looking at your options with a federal investigations attorney or criminal defense lawyer, you will better understand the investigation process and how white collar law works. If you are looking to find a federal investigation lawyer or federal procurement frauds defense attorney to save you or your company from potentially thousands or millions of dollars in fines, help with a federal subpoena for records, or to avoid suspension or debarment, contact a white collar defense attorney today. 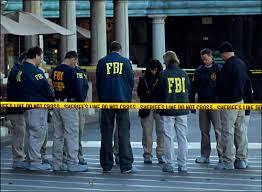 Speak With Federal Criminal Investigation Defense Lawyer John Scorsine Defense Attorney. If you are involved in federal government procurement fraud investigations, participation in public corruption, need to find out if you are being investigated or need assistance with white collar crime litigation and criminal corporate investigation defense or federal procurement contract fraud investigation, corruption or an unpaid contract claim, call a federal criminal investigation defense lawyer for immediate help. Call toll-free 1-866-601-5518 or 202.827-9750.